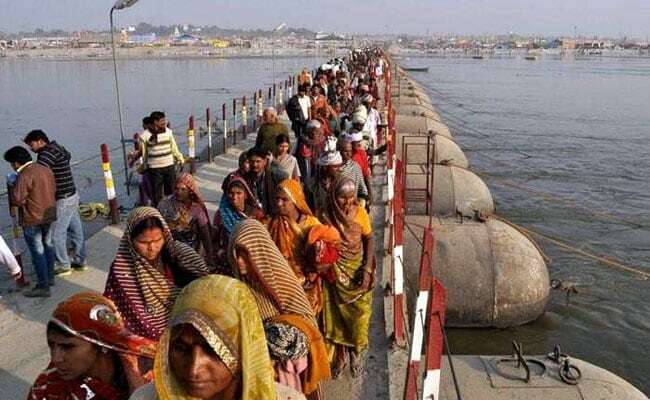 Apart from taking a dip in the confluence of the Ganga and the Yamuna in Allahabad in the cold winter month of January, people will be able to "feel the invisible Sabarmati river," the chief minister said. "We are making efforts to open the gate of Prayag Fort where Saraswati is situated and we are talking with the government of India and the Archaeological Survey of India for this purpose," Mr Adityanath said. "The coming Kumbh is going be historic and very special," Mr Adityanath said. The ambassador of every country will be invited to the Kumbh Mela, he added. "We will invite not only Indians living in foreign countries but also foreign nationals to be a part of the world's largest congregation," he said. "Our culture is like the flowing water of Ganga which is old and pure, and has also changed with time. This is why many cultures were vanquished but our culture is intact," Mr Fadnavis said.